Marti graduated from Indiana University in 1996. 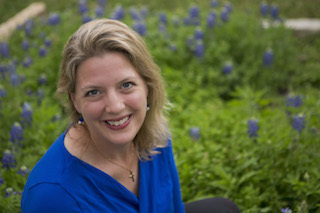 She is a Child Trauma Academy Fellow, a TBRI Travis County Collaborative participant, and co-founder of Simple Sparrow Farm, a non-profit where she collaborates with Jamie Tanner, Simple Sparrow owner and president, to help heal individuals through farm related activities. Marti began her OT career at the Covered Bridge Special Education Co-op where she specialized in autism, handwriting, and creative adaptive equipment provided on a minimal budget. She currently specializes in sensory regulation as it relates to trauma and has helped develop the sensory portions of the CTA's NMT and TCU's TBRI education. She has completed additional certification and training in Interactive Metronone, Therapeutic Listening, Wilbarger Deep Pressure Protocol, Therapeutic massage, Floor Time, Vestibular Dysfunction, Reflex Integration, Picky Eating, Athletic Training, CISM, and Rescue Scuba Diving. She has been an international speaker since 2004, sharing her passion to help children in creative, fun, inexpensive, and simple therapeutic ways. She resides in Austin, Texas with her husband and two children. She enjoys traveling, nature, photography, quilting, and spending time at Simple Sparrow Farm.